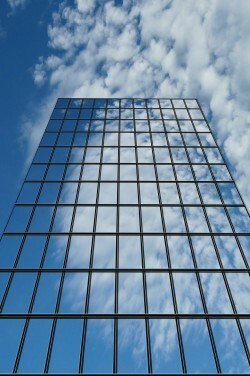 Cloud computing is supposed to save money - but is it living up to the promise? In recent years, many public sector businesses have sought to make use of cloudware (cloud technology) to become more efficient, boost their flexibility, and reduce their overheads. Thanks to the availability of all data through one server, business owners can also drastically cut their administration costs and establish cost savings. We have heard the stories of how millions of pounds is wasted on massive IT projects for public organisations, such as the NHS and education, but are these investments leading to cost savings or unexpected fees? I spoke to local cloud expert, Dave Wilding. Dave is a Microsoft Small Business Specialist at Shadowfax IT Support, and has specialisms in Microsoft, Cisco, NetApp & Citrix technologies. Probably the first idea or clue to modern cloud computing began with the advent of the Advanced Research Projects Agency Network (ARPANET) in 1969, which explored the possibility of a global data platform that could be accessed from any location. Since, then, with the release of hugely popular products such as Salesforce.com and the Amazon Elastic Compute Cloud, cloudware has taken off at an unprecedented scale. According to Sungard Availability Services, a leading IT production and recovery services, the cost of adapting to cloud platforms has been much higher than anticipated, for many businesses. In its ‘Cloud Hangover White Paper‘, the company revealed that these extra costs amount to more than £2 billion for European businesses as a whole, with a typical organisation is paying around £240,000 each year just to operate their cloud services. This figure does not even include the costs of ongoing maintenance, integration and people, which amounted to an extra £320,000 for a typical organisation over a five-year period. In fact, the white paper found that only 53 percent of organisations managed to achieve cost savings after moving to cloud computing, which is particularly problematic for the U.K’s public sector, where budgets are often tight, particularly in the current era of austerity. Still, in May 2013, the Cabinet Office published a press release calling for public sector organisations to adopt a ‘Cloud First’ policy to cut their IT costs and maximise savings. By this date, more than 700 companies were already using the G-Cloud service, and a report by the NAO found that public sector organisations had already saved £316 million for the taxpayer between 2011 and 2012 through IT reforms and other cuts to expenditure. One of the most common complaints of cloudware, however, is its complexity, because it requires organisations to reposition their ICT infrastructure to a completely different platform – one that is often riddled with unexpected maintenance costs. Keith Tilley, the executive vice president of Sungard Availability Services, said in 2015 that public sector organisations’ priority is to establish expenditure and efficiency savings, and that cloudware can facilitate these objectives by significantly reducing costs across the entire public sector. Integrating the systems and sharing data in applications can be a headache for public sector organisations that have limited or no experience of cloudware, and the additional time taken to adapt to and understand this technology does not enable these businesses to become more efficient, at least not in the short term. However, perhaps with greater international collaboration, public sector organisations across the world should be better placed to exchange ideas and implement this digital transformation on a much broader scale. First and foremost, Sungard Availability Services recommends that all organisations identify their business drivers for adapting to cloud technology. This will help them to determine when it’s the right time to invest, and whether their new cloud platform will be relevant for their applications and technological requirements. This way, the technological advantages of cloud computing can be translated into real economic benefits for the business in the future. ← Wot No Word? Windows 10 Removed My Word!